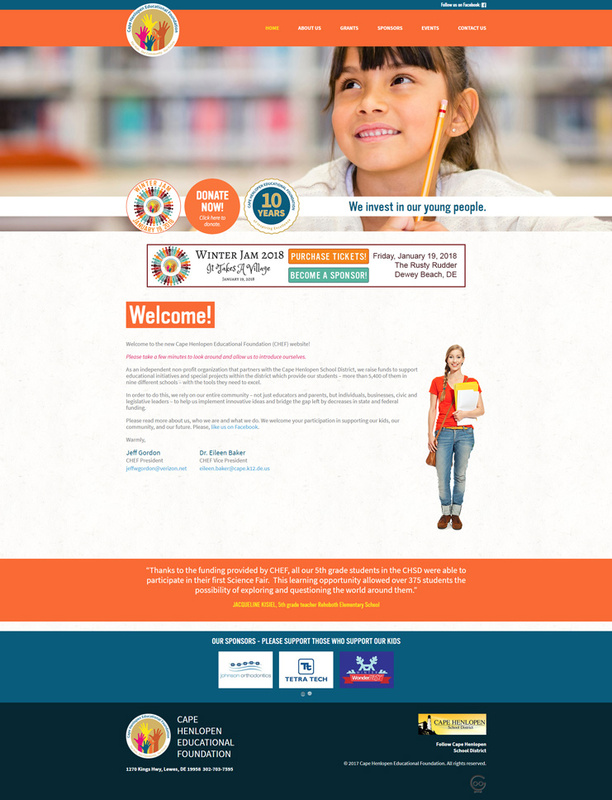 A playful website full of important information for the Cape Henlopen Educational Foundation. Create a custom website that focuses on generating donations and showcases the foundation's upcoming fundraising events. Paired with a beautiful custom new design, we were able to use most of the content writing from the old website for this project. Despite some stressful times in the middle of several major fundraising events, we were able to produce this project on-time and under budget.